Speaking last Wednesday, Federal Reserve Chair Janet Yellen formalized the possibility of a rate hike next month. The 30-year fixed-rate mortgage averaged 3.87 percent for the week ending November 5, 2015, up from last week when it averaged 3.76 percent. A year ago at this time, the 30-year FRM averaged 4.02 percent. The 15-year FRM this week averaged 3.09 percent, up from last week when it averaged 2.98 percent. A year ago at this time, the 15-year FRM averaged 3.21 percent. The 5-year Treasury-indexed hybrid ARM averaged 2.96 percent this week, up from last week when it averaged 2.89 percent. A year ago, the 5-year ARM averaged 2.97 percent. The 1-year Treasury-indexed ARM averaged 2.62 percent, up from 2.54 percent last week. At this time last year, the 1-year ARM averaged 2.45 percent. “Treasury yields climbed nearly 20 basis points over the past week, capturing the market movement following last week’s FOMC meeting. In response, the 30-year mortgage rate experienced its largest increase since June, up 11 basis points to 3.87%,”said Sean Becketti, Freddie Mac’s chief economist. 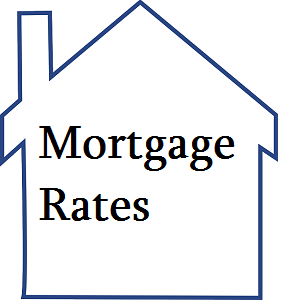 “Recent commentary suggests interest rates may rise in the near future. Janet Yellen referred to a December rate hike as a ‘live possibility’ if incoming information supports it. The October jobs report to be released this Friday will be one crucial factor influencing the FOMC’s decision,” Becketti added.